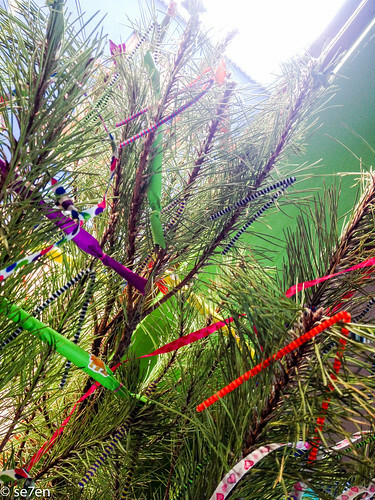 I collect little treats to go on the tree… fun shoelaces, pipe cleaners, streamers, funky stationary finds and of course crackers. For the last two years I have completely “forgotten” to buy crackers, hoping that everyone would forget about them. Crackers are alarmingly expensive for what they are, and filled with the same old things that nobody wants five-minutes later. Of course, there was a certain hood who kept mentioning that I had forgotten to buy crackers… clearly there is something about a little surprise that arrives with a bang. 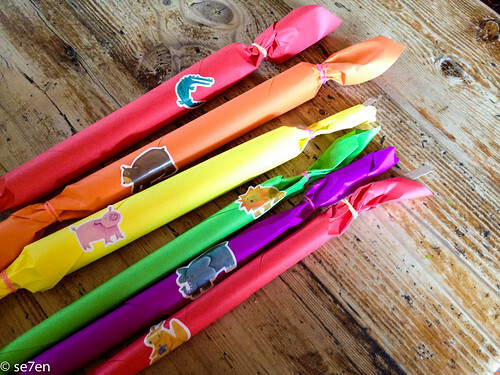 The very vocal yearning got to me, so I quickly whipped up a heap of instantaneous Christmas crackers. 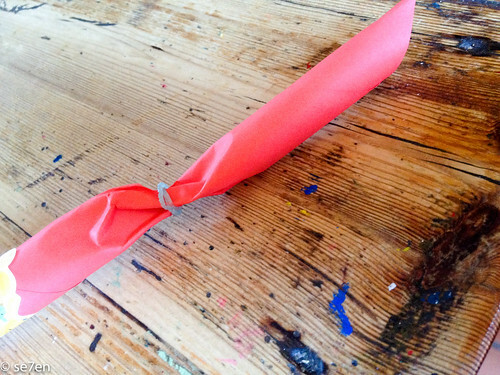 Place your treat with the “cracker bang” across the paper and roll them into a tube. Close your tube with a sticker. 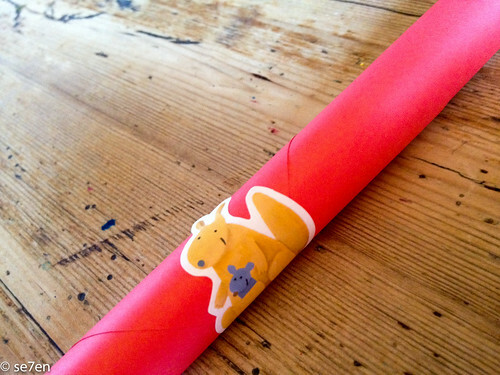 Then pinch your paper tube at the ends of the treat, and secure them closed with your little elastic bands. That’s it… really that quick and easy. They are ready to be put between the branches of the tree and they are good for popping just like that. 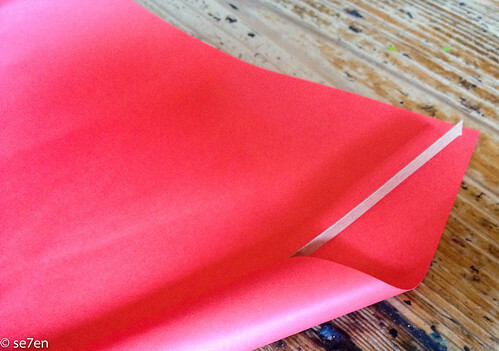 I can imagine we can use these to liven up birthday gifts and even valentine treats for little friends. The New Year Tree is of course emptied of surprises really fast, and right now the tree is in the garden drying out and waiting for an under-the-stars-marshmallow-feast down the line. LOVE this idea. Now tell me, where does one buy those cracker bang things? 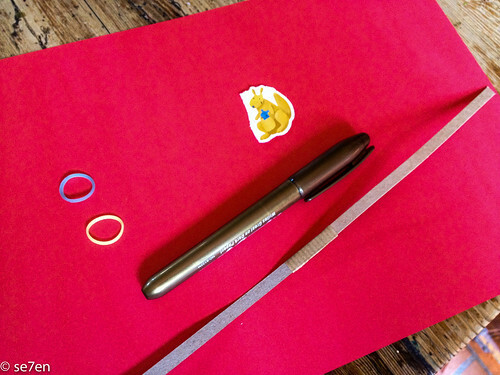 Hay Marcia, we bought them a while back at a Stationary store, Merry Pak, but I have seen them in genuine crafty stores that are filled with things to make things like crackers – I have seen cracker kits – but this was so easy and I am all for easy projects!!! Lots of love!!! Fun crackers. Love the idea of clearing down the tree and decorating it with little goodies to keep. It is funny how family traditions grow and the best ones are not allowed to die. We used to have little presents from the Christmas Tree on Boxing Day, my Great Grandfather’s birthday, so we always visited. Probably a way to soften the blow of leaving our new toys so soon. 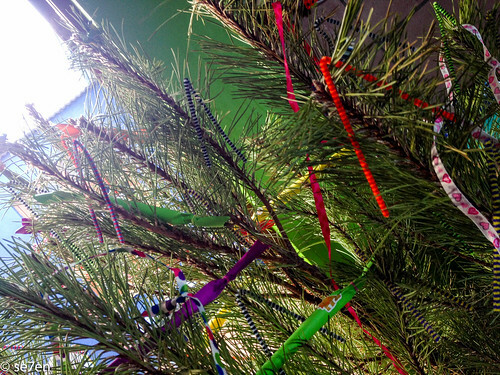 Hay Cheryl… Too right about the unexpected little traditions that endure so well, and the one’s that we think must be so important drift away (often luckily)… I love little surprises on the Christmas tree it just makes perfect sense!! !